As you will know lately skincare has become pretty important to me, so much so that I had a complete overhaul with my skin and introduced a bunch of new products into my day and night skincare routine. However, as important as it is to look after your skin on the outside there are times where we have to be kind to our skin from inside. Now that I am not on the good side of my twenties anymore this is becoming even more important to me. We all know how important it is to keep your inside all healthy and super hydrated, avoid too much sugar and bad food and to eat as much fruit and veg as we can possibly consume. But when it comes to beauty we tend to shortfall and focus on adding serums, oils, creams and no end of gels. So what better way to improve the look and feel of your skin that to do it from the inside out and choose to add a supplement into a daily routine. Taking an inside out approach to beauty and formulated to work effectively on its own or alongside beauty lotions and potions giving maximum results; drinking collagen is the new way to target skin ageing. But now one healthcare company is taking us one step closer with a new drinkable super strength, wrinkle-busting complex that is taking anti-ageing to new heights. Now I have to admit I was immediately intrigued because let's face it who doesn't want younger, wrinkle free skin? 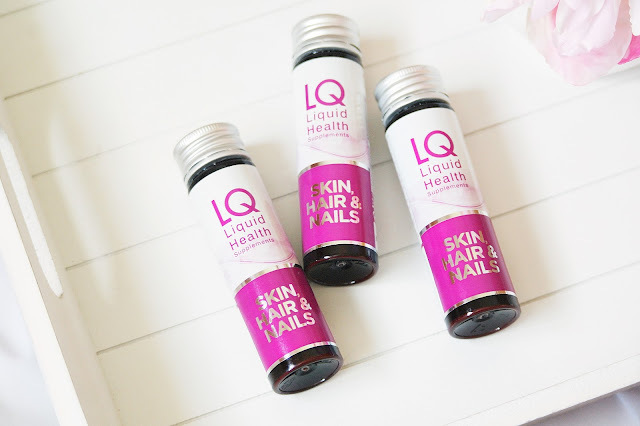 LQ Skin, Hair & Nails is a as the non-invasive answer to collagen fillers and far safer and cheaper than the craze for vitamin and collagen drips and injections, the ‘super shot’ drink is the first of it's kind to contain all three of the most effective skin anti-agers. Collagen, resveratrol and hyaluronic acid along with advanced antioxidants to fight off lines and wrinkles and loss of skin tone. So as you can see it jam packed full of goodness that is sure to help with the complexion and skin and hopefully help fill those wrinkles out too. LQ Skin, Hair & Nails is clinically proven, age-defying ingredients to work more quickly from the inside out. And I don't know about you but I could do with a little love for my hair skin and nail now thanks to this awful dry and hot weather. I feel like I look a bit frazzled! This supplement comes in a bottle that is designed to simply be like a probiotic yoghurt or something, ensuring that it can easily be added to a great morning routine. 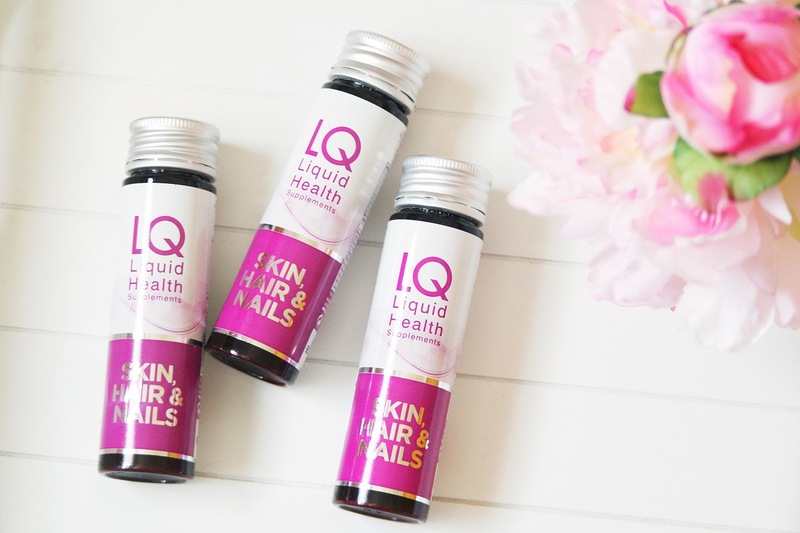 LQ Liquid Health’s Skin, Hair & Nails liquid collage supplement comes in 50ml bottles containing 7000mg of high quality hydrolysed Peptan™ collagen, which has high bioavailability. That means that it’s easy for your body to take up the collagen and make use of it. It also includes hyaluronic acid and Grape Seed extract, which contains resveratrol. Vitamin C and E are antioxidants. The supplement also includes Selenium and Biotin (Vitamin B7) which are important for the maintenance of normal nails, skin and hair. Collagen exists naturally in skin but it's production decreases with age, leading to fine lines and wrinkles. And even though I hate to admit it one too many late nights and the whole age thing has been a little wearing on my skin. 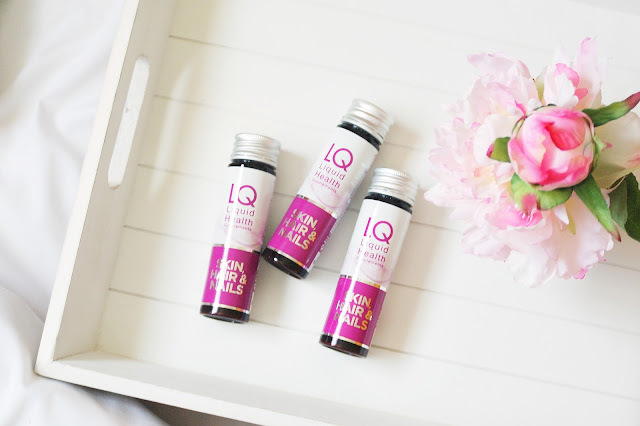 So as you can imagine I was more than excited to add a little LQ into my life and help battle the wrinkles and sagging skins, even just a little. 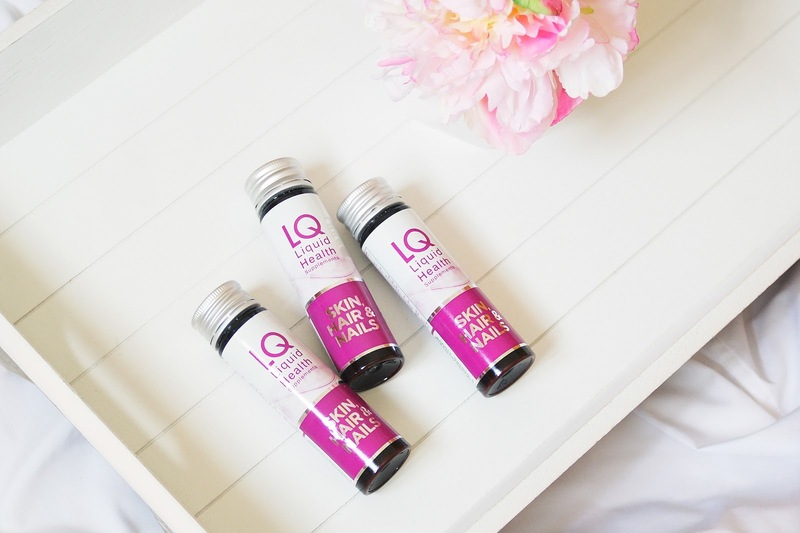 But what I like most about LQ is that the supplement actually aids the natural process and it's becoming far more effective that other collagen creams, oils, serums or treatments. It gets highly concentrated, quality collagen peptides straight into the bloodstream, getting straight to the deeper dermis to directly encourage the skin’s collagen making cells to produce more collagen and hydrating hyaluronic acid. A winner all round if I do say so myself. When it comes to loving my skin from the outside this product is not a first, I am more than sure that those who are reading this will know about Forever Living and I was sucked into the 'dream' and decided to try their Aloe gel and I must say that was a completely bizarre experience itself, and one cup of this stuff was suppose to help you in all kinds of way. However, the gel tasted so awful that I threw up and it didn't matter if I swallowed it quickly or added a cordial. It tasted vile. So you can imagine that I was little apprehensive when it came to this little supplement, and you know what? It didn't taste bad at all, it was actually quite nice. I have been using this product just under a month and even though I can see a little difference in my complexion I cannot really say if it's a product that I would say has impacted my life and I couldn't live without it. Well so far anyway. I am guessing that seeing a difference with my hair and nail could just take me a little bit longer to see a difference. This little supplement is on the pricey side but to ensure that it's a supplement that is working for me, I will have to purchase some more so I can see the difference and how much I am consuming. LQ is £29.99 for 10 x 50ml shots which works out at £3 per day. However after the initial 3 months, you have the option of reducing your intake to 3-4 bottles a week which obviously reduces the cost. Have you ever tried LQ Liquid Health before? Mimi Rose and Me is a personal blog written and edited by myself only, unless otherwise noted my reviews are completely based on my own opinions and my own words. These products were supplied to me as a gift to review from LQ Liquid Health. If you'd like to know about this then please visit this page.